The CRISP team is involved in the developement of fundamental crystallographic methods, the conception of original instruments, and their application to a broad range of materials. The team contributes to the development of advanced methods for the investigation of difficult structures (twins, polytypes, disordered structures) and nanoscale crystalline structures (nanocrystallography), as well as the determination and accurate analysis of the electron density distribution of crystalline solids (topology of the electron density and electrostatic potential, joint refinement). The team develops a platform for crystallographic studies under constraints (diffraction under electric field, photocrystallography, diffraction under pressure) and time-resolved cristallographie (XPAD hybrid pixel detector). The research activities find applications in the field of magnetic molecular materials, photoswitchable materials, minerals, and biologically or pharmaceutically interesting molecules. The Crystal Engineering group focuses on the control of both molecular organization in space and modulation of the intensity of the intermolecular interactions involved in this organization. 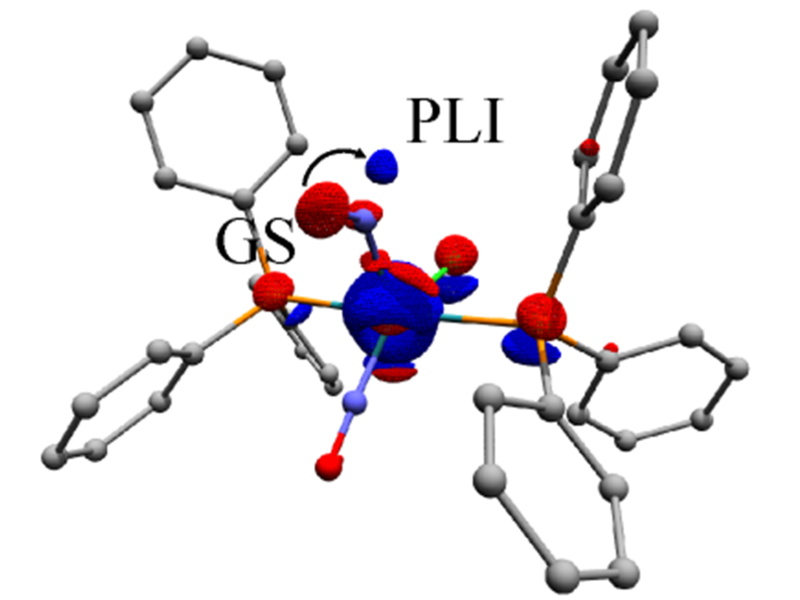 The study of directional intermolecular interactions is at the center of our approach. It relies on the use of the influence of intra- and intermolecular environment in order to drive the crystalline molecular arrangement, and thus to modify the physicochemical properties of the crystalline solids. 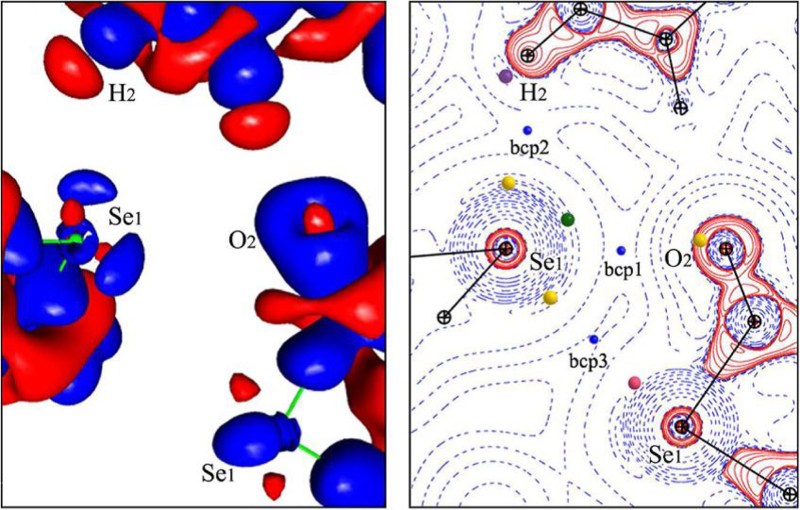 The study of the electron distribution and its derived properties from experimental (XRD) and theoretical (quantum calculations) methods allows us to characterize the interatomic and intermolecular interactions involved on. Our research activity consists in the elaboration and characterization of inorganic materials, molecular materials, nanomaterials and nanocomposites exhibiting remarkable structural, magnetic, electric and optical properties which can be controlled by external stimuli (pressure, electric field, laser). These studies are feasible thanks to our multi-stimuli platform for crystallography under constraints. Central to our method is a clear description of structure-property relationships in the space- and time-resolved domain. Symétrie cristalline et théorie des groupes. Théorie réticulaire des cristaux maclés et de leurs effets sur la diffraction. Structures modulées et modulaires, polytypisme et polysomatisme. The CRISP team develops a platform for cristallography under constraints (pressure, electric field, laser) in order to study the structural response of cristalline solids under perturbation. 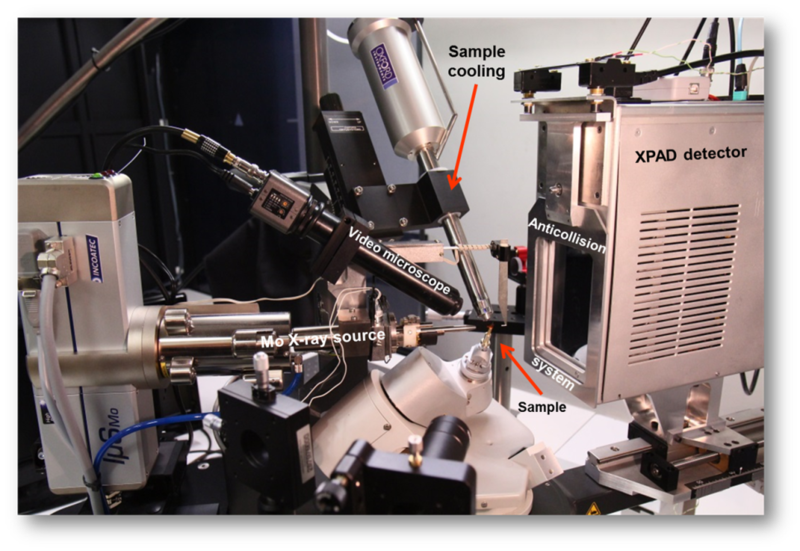 For that purpose, we have set up a fast hybrid pixel detector (XPAD) on a diffractometer equipped with a microfocus X-ray source and low temperature device (cryojet N2). The detector may be synchronized either to an external periodic electric field to perform measurements on piezoelectric crystalline samples, or to a pulsed laser source to carry out time-resolved photocrystallographic experiments.